RUAG and United Launch Alliance (ULA) have formed a new strategic partnership in which RUAG will establish production in ULA’s factory in Decatur, Georgia. 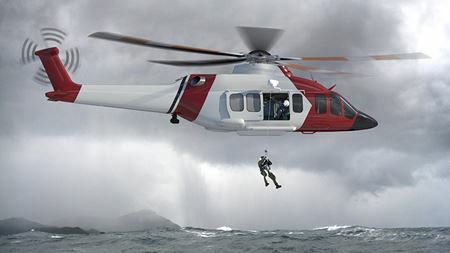 TenCate Advanced Composites has begun production of compression molded composite parts for the Bell 525 Relentless helicopter program. A UK partnership has developed a way to repair composite tools needed to make aircraft parts which, the companies say, can save time and money. Dow Polyurethanes has introduced its Voraforce TP 1200 series to the North America market. Meggitt PLC has agreed to acquire the advanced composites businesses of Cobham plc for US$200 million. North Thin Ply Technology (NTPT) has launched an upgraded product range based on its ThinPreg 80EP product. Composites One will be presented with the Silver Exhibitor’s Award at boatshow IBEX 2015 in Louisville, Kentucky, USA. AIMPLAS says that it has reached the mid-point of the European COALINE project. Some 14 exhibitors from Baden-Württemberg, Germany, will be exhibiting current developments and trends in lightweight composites at Composites Europe 2015. JR Technology has provided DolphiCam CF08 and CF16 ultrasound cameras to composite engineering departments. Formaplex has been awarded three major certifications, adding to its ISO 9001 and UKAS management systems already in place. Composites Germany says that the results of its fifth survey of the European composites market, for the first half of 2015, are now available. According to a new report, the global glass fiber market by application was valued at US$9.26 billion in 2014.